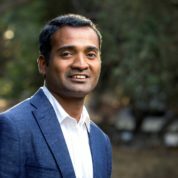 Rajamanohar Somasundaram is a serial technology entrepreneur with an extensive experience in building Internet and mobile technology driven businesses. He is the Founder and CEO of Hexolabs Interactive that focuses on developing solutions around mobile telephony services to address digital divide in emerging markets. He also co-founded Kaasu, a P2P lending marketplace that connects to worthy borrowers within your social circle. Raja works as advisory at startup incubators and serve on the advisory boards of emerging startups in Asia, Africa and Latin America. Raja is the innovator behind services like ‘Voice Wiki’ that helped non-internet savvy mobile users access Wikipedia information, videos over a simple voice call. His team has been named among the TR35 – TOP 20 Young Innovators in India and won ‘Social Innovator of the year 2012’ by MIT Tech Review India for the development of speech enabled mobile solutions for Indian market. World Economic Forum has recognized him as one of the “Young Global Leaders’ for the leadership and contribution for the ‘Mobile4Good’ initiatives in emerging markets. "I can honestly say that the person I am today is because of the staggering impact a few of my teachers had in me during my early years. Education is self-enlightening and crucial to the development of an individual and the society at large. I consider it a privilege to nominate those enablers and honor their contribution in bringing about a change in people!"